Photo Archive of 501 photos: click here. May Day 2012, San Diego, California. -- Students sit down and take the street for theirs in front of Bank of America and Wells Fargo. Photo by Nic Paget-Clarke. 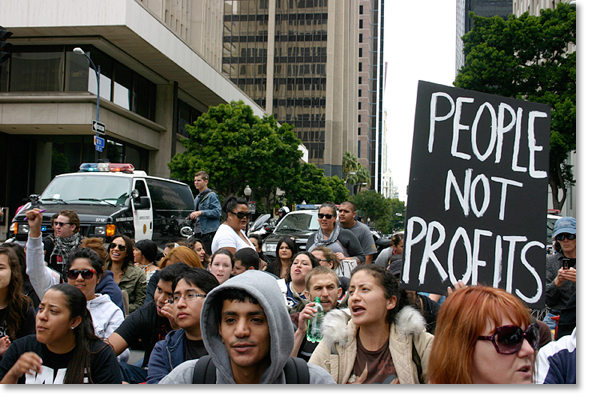 On May 1, 2012, several hundred students, workers, and other community members held marches and demonstrations in different parts of San Diego. The events were organized by a broad coalition of unions, community organizations, and Occupy groups.